According to the NSPCC, the number of teens seeking counselling sessions for stress rose by 11% in 2017. Each year when exam season rolls around or a new term begins, we see new statistics and articles highlighting how stressed children and teens across the country are. With increased pressure from homework, exams, social media, peer and parental expectations, young people are arguably feeling more stressed than ever before. As part of our mission to create a happier, healthier society, we have been working on a new range of free, easy to use resources to help parents, teachers, primary and secondary school-aged children. Our aim? To help young people (and the adults that support them) learn how to recognise the signs of stress, discover what they can do to tackle these feelings, and develop healthy coping strategies that will work for them. 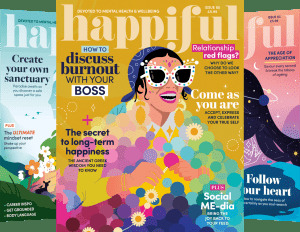 Together with Happiful Magazine, we have created a number of free resources to help families and schools learn more about positive mental health, common childhood mental health and wellbeing issues, and how they can tackle them. 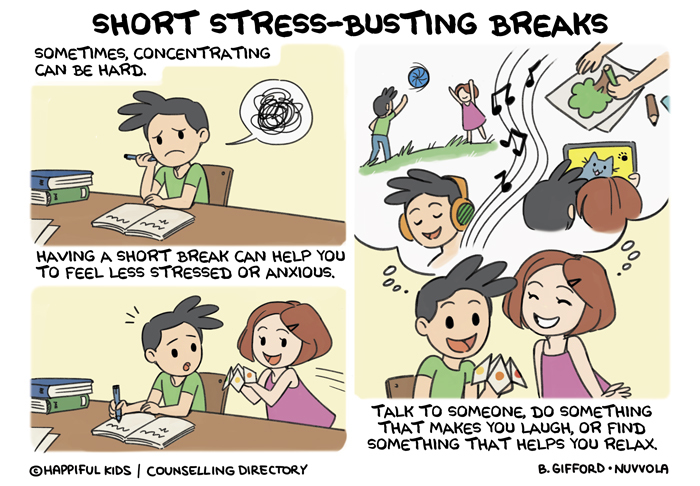 The third resource pack in our series of free articles, activities, comics, and further resources tackles stress. Check out our past free resources to help kids with their worries and anxiety, as well as to support bereaved, grieving children. Based on the fun kids’ paper fortune teller (also known as a cootie catcher), this simple activity gives kids something to make and use again and again. Providing eight simple five to 15 minute break ideas to help children who are feeling stressed, parents and teachers can help kids make their own using our simple instructions or use our pre-made version. Oursimple comic helps adults introduce the idea to kids in a quick, simple way without the need for a lengthy explanation. Explaining stress to younger children can be tricky, but helping them to recognise the signs and learn how to handle them before they become too much can be so beneficial. 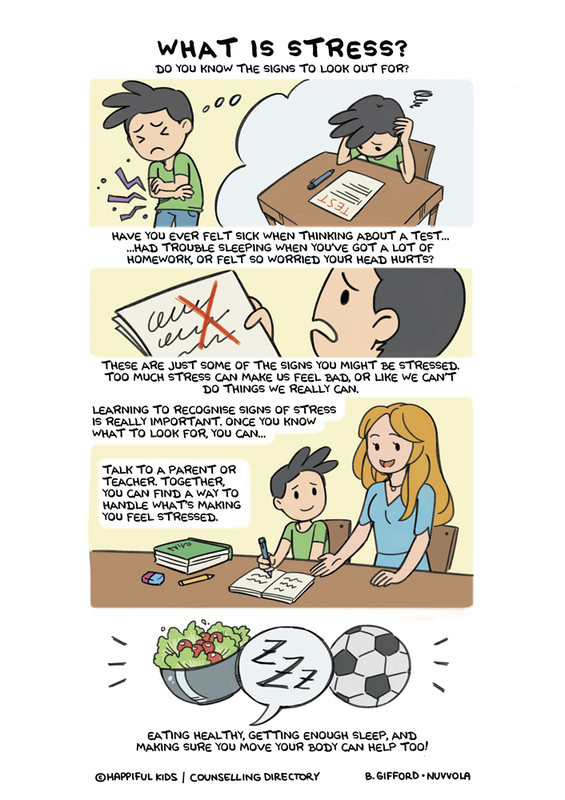 Our simple comic strip helps explain how stress can feel, helping kids learn the signs to look out for, and showing them a few simple ways they can try to tackle their stress head-on. How parental stress impacts children – counsellor Paula shares five simple tips to help parents avoid passing stress onto their kids. Self-care for kids – Happiful magazine’s Kat shares the benefits of self-care and simple ways we can teach children about self-care. How to enjoy being a parent (against the odds) – counsellor and mindfulness expert Anna shares advice and reassurance for parents worried about passing their stress or fears onto their children. How to help kids manage stress – Happiful magazine’s Bonnie shares five simple, quick tips parents can try to help support stressed children and teens. For the full range of free stress resources, advice, articles and more for children, teens, and adults visit our stress page. Hold your tongue Can couples counselling help you say what you really mean?